“A handsome man with some serious dance moves caught my eye,” says Tamara. It was November of 2011 at the Crazy Horse in Kanata. That’s when Tamara met Jeff. They chatted, they danced, then Jeff asked for her number. The next day, he called. Six weeks later, Jeff invited her to fly to Victoria, BC to spend New Year’s. “It didn’t take long for me to realize that he was the person I wanted to wake up with each morning and say goodnight to each night,” Tamara says. Three years later, after dinner at a downtown restaurant, as they admired the sunset by Parliament Hill, he got down on one knee and asked her to marry him. The answer was an enthusiastic yes. Tamara had an additional priority: her dress. She discovered it at With Love Bridal Boutique. “Despite having no clue what I wanted when I started shopping, I fell in love with a full lace fit and flare gown.” It was the Pierce design by Maggie Sottero. She had her makeup done by Shanna Brazeau and had unique bracelets made for her bridesmaids via Katye Landry Designs. 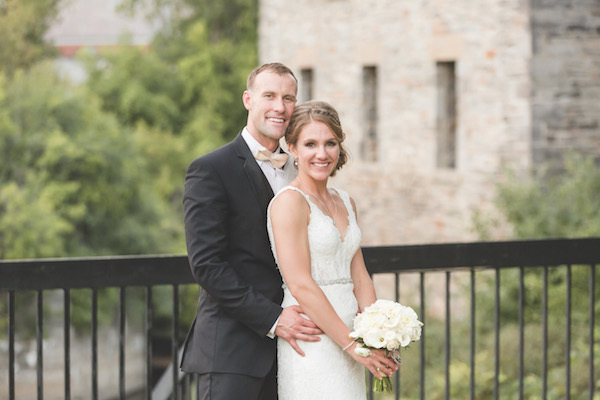 The couple tapped Ottawa Flowers, Suzy Q Doughnuts and Morris Formalwear for other aspects of their day. The day had many personal elements. At the ceremony, members of the wedding party passed Tamara and Jeff’s rings down the line, telling them what they wished for their future. 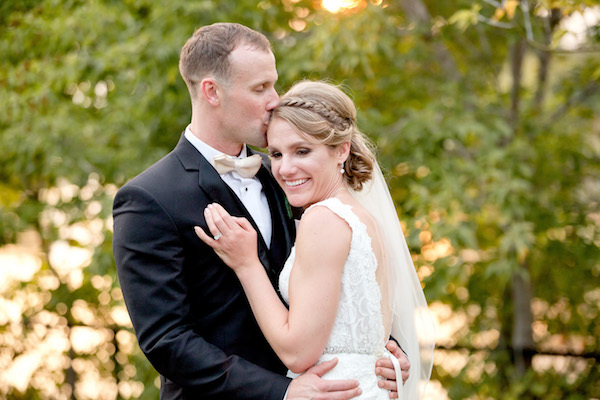 The couple wrote their own vows, and danced down the aisle after the ceremony. At the tables, another traditional detail was replaced with a unique expression of caring. “Most of our loved ones know how much we adore our one-eyed rescue dog Sunshine.” So in lieu of wedding favours, a donation to the Ottawa Humane Society was made in honour of the guests, and at each place setting there was a personalized post card with photos of Sunshine and a message from the couple.